Datuk Dr. Mohammad Daud Bakar, is the Founder and Group Chairman of Amanie Group, a global boutique Shariah advisory firm with offices in Kuala Lumpur, Dubai, Luxembourg, Cairo, Tunis and Dublin. He is also the Founder and Chairman of Amanie Nexus Sdn Bhd (Kuala Lumpur), Chairman of the Shariah Advisory Councils of Bank Negara Malaysia, the Securities Commission and the Labuan Financial Services Authority, and the Chairman of the Shari’ah Committee of the International Islamic Liquidity Management Corporation. 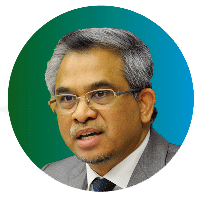 Datuk Dr. Mohd Daud is the former Deputy Vice-Chancellor of International Islamic University Malaysia. Datuk Dr. Mohd Daud also sits on the Board of Sime Darby Property Berhad. Currently, he is also a Shariah Board member of National Bank of Oman (Oman), Noor Islamic Bank (Dubai), Amundi Asset Management (France), Morgan Stanley (Dubai), Bank of London and Middle East (London), BNP Paribas (Bahrain), Bank Al Khair (Bahrain), Dow Jones Islamic Market Index (New York) and SEDCO Capital (Saudi Arabia). Datuk Dr. Mohd Daud received his first degree in Shariah from the University of Kuwait in 1988 and obtained his Ph. D. from the University of St. Andrews, United Kingdom in 1993. In 2002, he completed his external Bachelor of Jurisprudence at the University of Malaya. Shari’ah Supervisory Board Accounting and Auditing Organisation for Islamic Financial Institutions, the International Islamic Financial Market and the Dow Jones Islamic Market Indexes. Sheikh Dr. Nizam Mohammed Saleh Yaquby served as the Chairman of Supervisory Board and Member of Supervisory Board at Capital Management House B.S.C. (c). Dr. Yaquby serves as a Member of Shari’ah Supervisory Board at Navis Capital Partners. He serves as a Member of Shari’ah Board at Mashreqbank psc. He serves as a Shari’ah Advisor to many Islamic financial institutions globally. Dr. Nizam Yaquby is a Member of the Shari’ah board for AAOIFI. He is a Board Member of 50+ Islamic financial institutions as a Shari’ah expert including: Abu Dhabi Islamic Bank, Barclays, BNP Paribas, Credit Agricole CIB, Dow Jones Islamic Index, HSBC Amanah, Lloyds TSB, Citi, Standard Chartered and Hilal Bank. He has over two decades of experience in teaching Islamic subjects and has authored several research papers. He served as a Khatib, giving hundreds of sermons at mosques in Bahrain over a period spanning ten years. He also taught Tafsir, Hadith and Fiqh in Bahrain. Dr. Nizam Yaquby holds a Ph.D. in Islamic Law and a BA in Economics and Comparative Religion from the McGill University in Montreal, Canada. 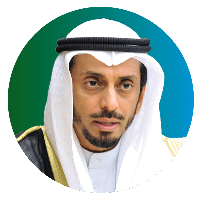 Sheikh Professor Dr. Mohammad Abdul Razaq Al-Tabtabae is the Chairman of Committee to Implement Shariah for the State of Kuwait appointed by the Amir of Kuwait. He is also the Chairman of International Conference for Islamic Economic, Kuwait. In addition, he is the Chairman of Fatwa Committee for Family Law and a member of the Fatwa Board of the Ministry of Awqaf and Islamic Affairs. 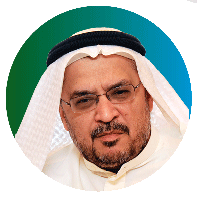 Prof. Dr. Mohammad is the Group Chairman of Shariah Board of KFH Kuwait and Chairman of KFH Bahrain. He also sits as a member of Shariah Board of several Islamic financial institutions such as Zakat House of Kuwait etc. He was formerly the Dean of Faculty of Shariah and Islamic Studies, Kuwait University and a Professor at the Kuwait Institute of Judiciary Studies. Prof. Dr. Mohammad holds a Bachelor, Master of Shariah and Ph.D. from the Imam Mohammed Ibn Saud Islamic University, Riyadh, Kingdom of Saudi Arabia. Prof. Dr. Mohamad Akram is currently the Executive Director of International Shari’ah Research Academy for Islamic Finance (ISRA) and Professor at International Centre for Education in Islamic Finance (INCEIF). 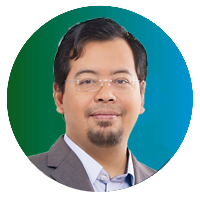 Priorto joining ISRA, he was an Assistant Professor at the Kulliyah of Islamic Revealed Knowledge and Human Sciences, International Islamic University, Malaysia (IIUM). In the period 2002-2004, he was a visiting Assistant Professor at the University of Sharjah, Sharjah, United Arab Emirates. Presently, he is a Member of Bank Negara Malaysia Shari’ah Advisory Council, Chairman of Shari’ah Board of Employees Provident Fund Malaysia (EPF), Member of Shariah Supervisory Council of Labuan Financial Services Authority (FSA), Member of Shariah Advisory Board ZI Shariah Advisory, Member of Shariah Advisor of Dar Al Takaful, Dubai, Member of Shariah Advisory Board, Eco Islamic Bank, Republic of Kyrgstan, Member of Shariah Advisory Council International Islamic Financial Market (IIFM),Bahrain, Member of Shariah Advisor of National Takaful Company PSC, Watania, Abu Dhabi, Member Financial Regulation Advisory Council of Experts (FRACE), Central Bank of Nigeria, Member of The Panel of Recognized International Market Experts in Finance (“P.R.I.M.E. Finance”) and other Boards locally and internationally. Prof. Akram holds a B.A. Honours degree in Islamic Jurisprudence and Legislation from the University of Jordan, Amman, Jordan and a Ph.D. in Principles of Islamic Jurisprudence (Usul al-Fiqh) from the University of Edinburgh, Scotland, United Kingdom. He has presented many papers related to Islamic Banking and Finance and other Fiqh topics at national and International level and has conducted many training sessions particularly on Islamic Banking and Finance for different sectors since 1999. Prof. Akram is also registered Shariah Advisor for Islamic Securities with the Securities Commission of Malaysia and has acted as Shariah advisor in the issuance of several sukuks. 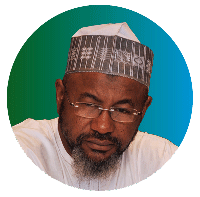 In addition, he is also prolific author of academic works specifically in the areas of Islamic Banking and Finance. 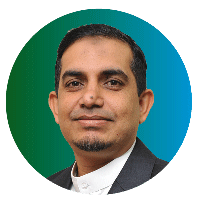 He is the recipient of Zaki Badawi Award for Excellence in Shariah Advisory and Research. Recipient of the Most Outstanding Individual Contribution to Islamic Finance during KLIFF 2016 organised by CERT and recently one of the recipients of Malaysia’s 2017/1439H Islamic Personality Award given annually on the occasion of the birthday of the Prophet (peace be upon him). Dr. Bashir Aliyu Umar is currently a secretary and member of Financial Regulation Advisory Council of Experts of Central Bank of Nigeria (FRACE-CBN) and a member of Sharia committee at the International Islamic Liquidity Management Corporation (IILM). Dr. Bashir was a former special advisor to the Governor of Central Bank of Nigeria on Non-Interest Banking, a member of Technical Committee, Islamic Financial Services Board (IFSB) Malaysia, a Chairman of Working Group for the development of the IFSB Standard on Risk Management for Takaful Undertakings and on Guiding Principles for Retakaful Undertaking, and a Chairman of Technical Committee on Alternative Finance, a joint initiative of the Central Bank of Nigeria, Securities and Exchange Commission, Infrastructure Concession Regulatory Commission and Debt Management Office. Dr. Bashir holds a B.A in Hadith and Islamic Studies, M.A in Sciences of Hadith and Ph.D. in Sciences of Hadith from Islamic University of Madinah. Associate Professor Dr. Zulkifli Hasan is a former Dean of Faculty of Syariah and Law, Universiti Sains Islam Malaysia(USIM). He holds various other academic positions such as Associate Editor for the Journal of Islamic Accounting and Business Research, legislation editor for the Malaysian Journal of Shari’ah and Law, panel of expert on muamalatand halal regulation, JAKIM, Committee on Syariah and Legal Education, JAKIM, University Arbitration Subcommittee of Inns of Court Malaysia,Committee on Syarie Lawyers, JAKIM, AUKU Technical Committee, Board Member of Majlis Agama Islam Negeri Sembilan, guest speakerfor Judicial and Legal Training Institute, Prime Minister’s Departmentand CIBFM, Brunei Darussalam, journal reviewer for numerous international refereed journalsas well as a member of the Advisory Editorial Board of the Shari’ah Law Reports and the Global Islamic Finance Magazine. Assoc. Prof. Dr. Zulkifli’s industry experience was as an in-house advocate and solicitor for Bank Muamalat Malaysia Berhad, member of Rules and Regulations Working Committee for Association of Islamic Banking Institutions Malaysia (AIBIM) and member of corporate governance working committee for Awqaf South Africa. He also underwent internship at Hawkamah, the Institute for Corporate Governance, Dubai International Financial Centre whereby he was involved in developing corporate governance guidelines for Islamic Financial Institutions in the Middle East and North Africa (MENA) as well as in the Task Force on Environmental, Social and Governance (ESG) which led towards development of the S&P/Hawkamah Pan Arab ESG Index. Assoc. Prof. Dr. Zulkifli Hasan holds a Ph.D. in Islamic Finance from Durham University, UK. Besides this, he holds a Master of Comparative Laws from International Islamic University of Malaysia where he also obtained his LLB (Bachelor of Laws) and LLB.S (Bachelor of Shariah) as his first degree.